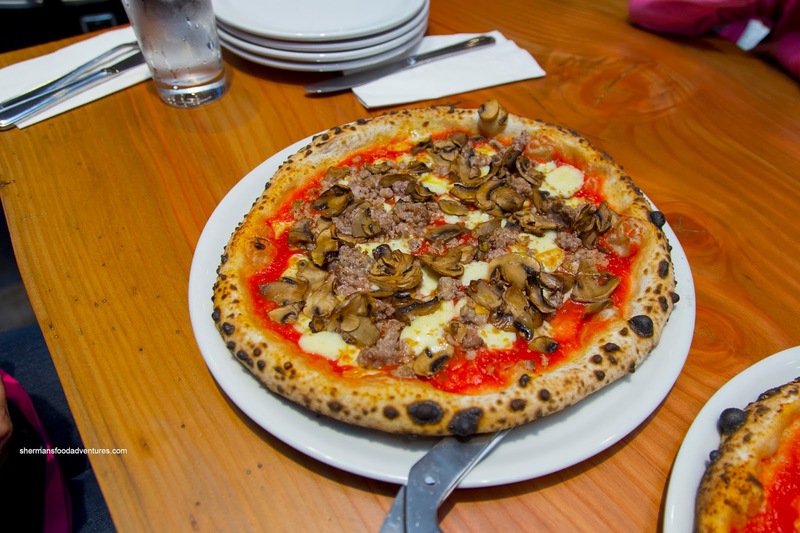 When it seemed like the Neapolitan pizza craze has started to settle down, we get another joint opening up. However, the location might throw some people for a loop. No, it's not in Downtown Vancouver, and in fact, it is not in Vancouver at all. 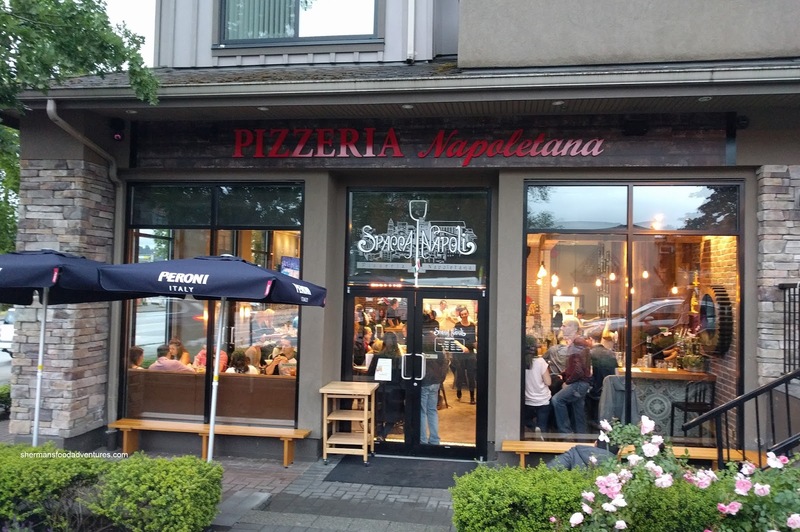 Rather, Pizzeria Spacca Napoli resides right in the heart of Port Moody. 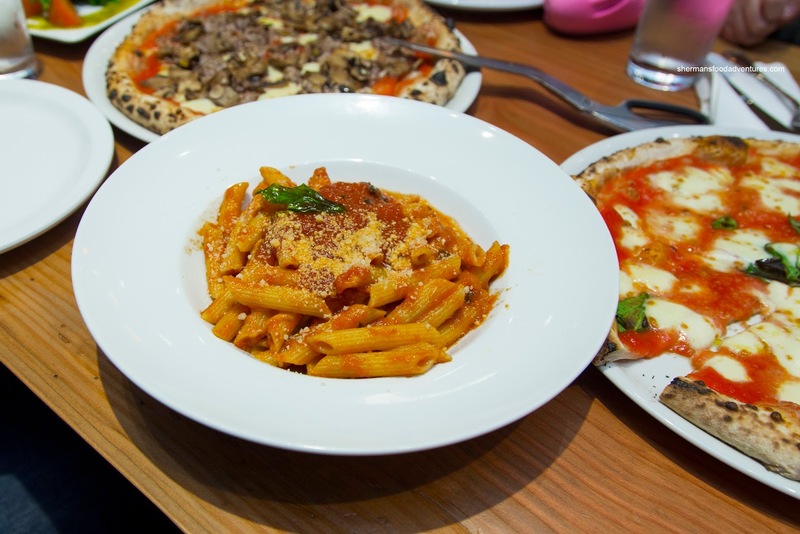 Yah, not exactly the hotbed of authentic Italian eats, but it's nice to see the burbs benefiting from development and hence, something other than chain restaurants. Seeing how we had enough carbs on the menu already, we started with the Caprese Burrata. This was a good choice as the burrata was fresh being creamy and buttery. 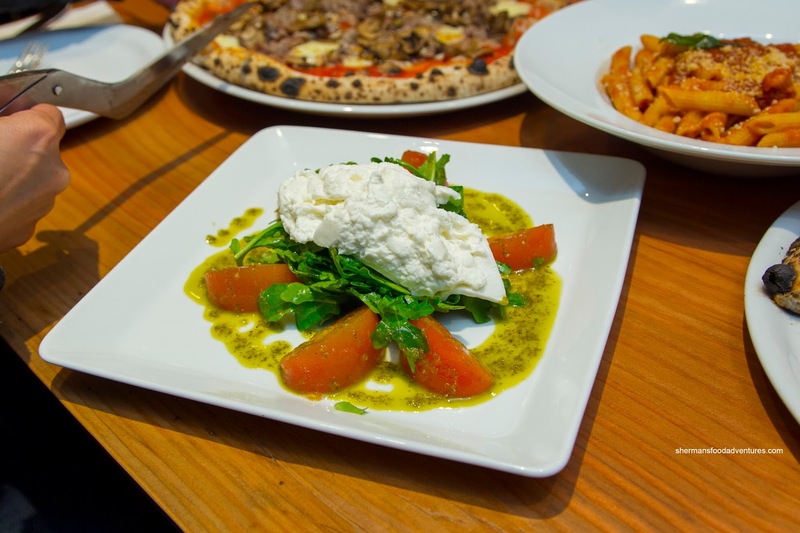 It sat atop arugula dressed in basil-mint pesto that was impactful and herbaceous in appearance and flavour. It went well with the fresh and slightly tart tomatoes. Before we got to the pizzas, we had their daily pasta special - Penne with tomato sauce and mozzarella. This was a solid offering with al dente pasta enveloped in a tart and chunky sauce. There was a good amount of melted mozzarella to break up the tomatoness. 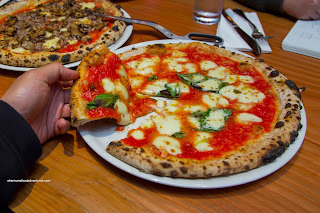 Moving onto the pizzas, we went with the classic Margherita with tomato, fior di latte and fresh basil. On the surface, the pizza looked aesthetically-pleasing with even leoparding. One bite and yes, there was a good nuttiness as well as tasty smokiness. The crust was nicely crispy and chewy inside while being well-seasoned. However, the rest of it was a bit too soggy for my tastes. I realize that the middle is generally more tender, but the entire crust, other than the outer edge was fairly wet and spongy. Our next pizza, the Boscaiola, had even more moisture due to the addition of smoked mozzarella, sausage and mushroom. Taste-wise, the smokiness of the cheese was subtle and tasty as well as the plethora of mushroom. There was also a good amount of lean sausage, but it was rather bland. Again, the visuals suggest a legit Neapolitan pizza. In many aspects, it was, but unfortunately, the crust literally didn't stand up. 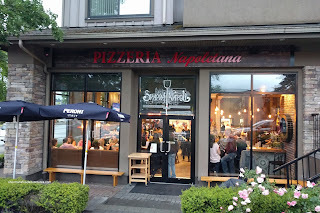 There is definitely potential at Spacca Napoli and my hope is that they ultimately get there because the space is nice and the people are too.